2. University of Žilina, June-August 2006, the project TEMPUS IMG-SCG3018-2005: "Updating the teaching programs for the subjects of 'Computers' and 'Algorithms and Programming' in accordance with the new High Education Act of the Republic of Serbia and the transition of the Railway College to the level of higher education according to the Bologna Declaration. " 4. Review and analysis of the main parameters of modern high speed engines, Jankov Rade, Beograd, Institute of the Faculty of mechanical engineering, Belgrade, 1976. 3. Čekerevac, Z., & Marković, M. (2011). Analysis of potentials of use of facebook technology solutions in education. In Group of authors, & Т. I. Власова (Ed. ), Людiна i свiтова глобалiзацiя: перспективи та межи розвитку [Eng. Man and world globalization: Prospects and limits of the development] (Vol. 1, pp. 261-269). Dnepropetrovsk, Ukraine: Dn-vsk: Vid-vо Маkovetskiy. 1. Design, production and exploitation of buses, Chapter ENGINES, pgs. 27-76, Monograph of the national importance, (Faculty of Transport and Traffic Engineering University of Belgrade), Faculty of Transport and Traffic Engineering University of Belgrade and IKARBUS AD, ISBN 86-902425-2-X, Beograd, 2002. 9. Čekerevac Z, Computers – Operating systems, Railway College, Belgrade, Belgrade, 2005. 10. Čekerevac Z, Anđelić S, Computers – Data Bases, Railway College, Belgrade, Belgrade, 2005. 11. Čekerevac Z, Technologies of materials with safety, Railway College, Belgrade, Belgrade, 2007. 13. Čekerevac Z, Basics of information technologies, Railway College, Belgrade, Belgrade, 2007. 26. Prigoda, L., Cekerevac, Z., Dvorak, Z. & Cekerevac, P. (2015, Apr 19). One look at the modern information security. Sustainable Development of Mountain Territories. 4(22). ISSN 1998-4502. 30. Čekerevac, Z. & Maletić, J. (2017, Oct.). Some aspects of site selection for the dry port terminals, Mehanika, Transport, Komunikacii, 15(3), ISSN 1312-3823(print), ISSN 2367-6620(online), article No. 1442, pp.0-26-0-31, Sofia, Bulgaria. 2. Čekerevac Z, Possibilities of using methanol as a fuel for oto-engines, Goriva i maziva br. 3/78, Beograd, 1978. 4. Čekerevac Z, An analysis of possibilities of using methanol-gas mixtures as fuels for Otto-engines, Tehnika - Mašinstvo br. 11/78, Beograd, 1978. 5. Čekerevac Z, Methanol – fuel for diesel engines, Vojnotehnički glasnik br. 4/80, Beograd, 1980. 6. Čekerevac Z, Modern trends in development of engines for combat and non-combatant vehicles, Cumulative scientific-technical information, VTI, Beograd, 1988. 7. Čekerevac Z, Turbochargers and turbo charging, Cumulative scientific-technical information, VTI, Beograd, 1989. 9. Aničić, J., & Čekerevac, Z. (2011). Ekomomska politika i preduzetništvo - raskorak između postavljenih ciljeva i ostvarenih rezultata. Economic policy and entrepreneurship - The gap between goals and achieved results), Ekonomski vidici, 16(1), 63-67. 8. EM (Event Manager): Softversko rešenje za globalno upravljanje trgovinom (Software solution for global trade management), SDD ITG, Beograd 2005 to 2009. 9. ITGbs-02: Sistem za upravljanje međugradskim putničkim saobraćajem, izdavanjem i rezervacijom karata i kontrolu pristupa baziran na primeni ITGbtt-0x (The system for managing of a long-distance passenger traffic, tickets publishing and booking, and access control based on application of ITGbtt-0x), SDD ITG, Belgrade 2005 to 2009. 10. ITGrc-01: Sistem za rezervaciju i izdavanje karata i kontrolu pristupa baziran na ITGbtt-0x (The system for booking and ticketing and access control based on ITGbtt-0x), SDD ITG, Belgrade 2005 to 2009. 11. Interactive presentation system: Generički proizvod za konfigurisanje različitih interaktivnih striming media prezentacionih rešenja (Generic product for configuring various interactive streaming media presentational solutions), SDD ITG, Belgrade, 2005 to 2009. 12. Smart shelf: Na RFID-u bazirano rešenje za trenutno inventarisanje sve robe postavljene na udaljenim policama (The RFID-based solution for the current inventory of all goods placed on the distant shelves), SDD ITG, Belgrade, 2005 to 2009. 13. ActA™: Kontrola pristupa i registracija radnog vremena na udaljenim lokacijama i ekspoziturama (Access control and time attendance in remote locations and branch offices), SDD ITG, Belgrade, 2005 to 2009. 14. PaySIMU: Java softver simulator za prijem banknota i izdavanje karata (Java software simulator for the banknotes acceptance and ticket issuing), SDD ITG, Beograd 2005 do 2009. 1. Čekerevac Z, Informatika u obrazovanju studenata Više železničke škole [Eng. Information Technology as a Subject Matter and a Tool in the Education Process in the Railway College Belgrade], INFOTEH-JAHORINA, Vol. 3, Ref. F-2, p. 279-282, Jahorina, Republika Srpska, March 2003. 2. Čekerevac Z, 47 godina obrazovanja na Višoj železničkoj školi [Eng. 47 years of education at the Railway College], proceedings of the first international conference: Visoko obrazovanje za potrebe transporta 2004, Tom 1, Beograd – Mokra Gora, May 2004, pp. 1-6. 3. Čekerevac Z, Reforma Više železničke škole 2002. godine i bolonjski proces [Eng. Reform of the Railway College in 2002 and the Bologna process], proceedings of the first international conference: Visoko obrazovanje za potrebe transporta 2004, Tom 1, Beograd – Mokra Gora, May 2004, pp. 7-10. 8. Čekerevac Z, Ristic S. (2005) The Concept, Traits and Characteristics of the Director-Organizer-Manager Personality, in proc. 65th International Scientific Conference “The Issues and Prospects of Railway Transport Development”, 19-20. May 2005, Dnipropetrovs’k, Ukraine, 2005. 21.Dvořák Z, Čekerevac Z, Soušek R, The information strategy as an assumption for copany´s information security from Czech, Serbian and Slovak point of view, in: The Internet, Competitiveness and the Organisational Security, X. Annual International Conference, Zlín, Czech Republic, March 26th, 2008, ISBN 978-80-7318-548-0. 4 p.
54. Čekerevac, Z. (2013). Key performance indicators and dashboards for transportation and logistics. International scientific conference "TRANSPORT 2013". Mechanics Transport Communications, issue: 3/2013. Art. ID 784. 55. 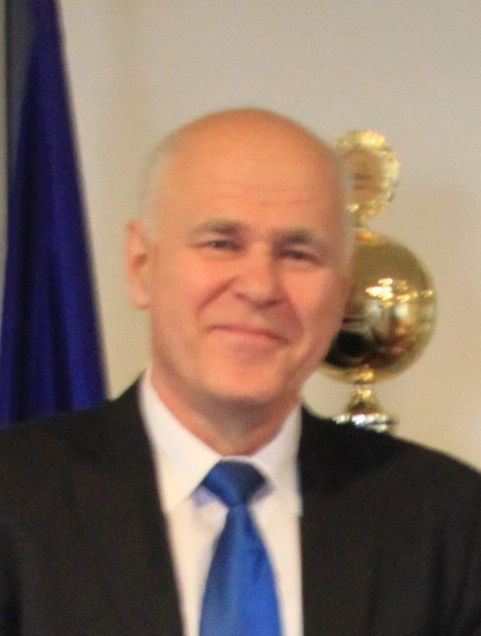 Čekerevac, Z., Čekerevac, P. (2014). Bitcoin - benefits and risks. International scientific conference "Management 2014". 25-26 April 2014. Faculty of Business and industrial Management, Belgrade, Serbia. 56. Čekerevac, Z., Dvorak, Z., Čekerevac, P. (2014). Internet security in light of Edward Snowden's revelations. International scientific conference "Management 2014". 25-26 April 2014. Faculty of Business and industrial Management, Belgrade, Serbia. 59. Čekerevac, Z., Wangbo. (2015, Sep. 24-25). Research on managing of urban transportation flows based on UAV platforms. International scientific-professional conference: Information Technologies, Economics and Law: state and development perspectives. Chernivtsi, Ukraine: PHEI “Bukovinian University”. pp. 257-258. 60. Čekerevac, Z., Bogavac-Cvetković, N., Bogavac, M., & Čekerevac, P. (2015, May 20-21). Protection of personal data and the freedom in communications. 20. medzinárodná vedecká konferencia Riešenie krízových situácií v špecifickom prostredí. Žilina. Slovakia. 63. Šćekić, D., & Čekerevac, Z. (2016, April 14-15). Privacy by Design – Possible Solution in The Protection of Privacy and Personal Data.Information Technologies, Economics and Law: state and development perspectives (ITEL-2016) Chernovci, UA: PHEI "Bukovinian University", 260-262. 64. Čekerevac, Z., Dvorak, Z., & Čekerevac, P. (2016, May 5-6). Microenterprises: Big or Small Data?. International Scientiic Conerence "Management 2016". Belgrade, RS: FBIM, 52-54. 65. Dvorak, Z., Sventekova, E., Rehak, D. & Čekerevac, Z. (2017, May). Assessment of Critical Infrastructure Elements in Transport. 10th International Scientific Conference Transbaltica 2017: Transportation Science and Technology. Vilnius, Lithuania: Procedia Engineering. 548-555. 1. Čekerevac Z, Possibilities of using methanol for driving of automobile SI engines as a meaning for exhaust pollution reduction, Collection from the scientific meeting "Science and technology in air protection from pollution ", Beograd, 1979. 2. Čekerevac Z, Nijemčević S, Nikolić V, Multicyclon Type Engine Air Precleaners in Buses, XVI International scientific-professional meeting Science and motor vehicles '97 under the sponsorship of FISITA, YU-97315, Beograd, 19-21.05.1997. 1. Živković M, Petrović S, Čekerevac Z, Semibratov V, Terzić M, „The impact of the implementation of LPG to drive the vehicle to safety“, Institute of the Faculty of mechanical engineering, Belgrade, 1976. 2. Kolendić I, Petrović S, Čekerevac Z, „Investigation of solutions for toxic emission reduction of Otto engines by reductioin concentration of Nitrogen oxides“, Institute of the Faculty of mechanical engineering, Belgrade, 1976. 3. Kolendić I, Petrović S, Čekerevac Z, Živković M, Semibratov V, Terzić M, „Investigation of solutions for toxic emission reduction and improving economy of automobile Otto engines of DMB - Belgrade production program“, Institute of the Faculty of mechanical engineering, Belgrade, 1977. 4. Jankov R, Živković M, Menjić M, Semibratov V, Čekerevac Z, „Review and analysis of the main parameters of modern high speed engines“, Institute of the Faculty of mechanical engineering, Belgrade, 1976. 5. Petrović S, Tomić M, Menjić M, Semibratov V,Čekerevac Z, „Report about the homologation of DMB 520 engine“, Institute of the Faculty of mechanical engineering, Belgrade, 1976. 6. Petrović S, Tomić M, Menjić M, Semibratov V, Čekerevac Z, „Report about the homologation of 128 A 064 engine“, Institute of the Faculty of mechanical engineering, Belgrade, 1976. 7. Trifunović R, Semibratov V, Menjić M, Čekerevac Z, „Characteristics of the formation of mixtures by fuel film evaporation in the super-high speed swirl chamber diesel engines“, Institute of the Faculty of mechanical engineering, Belgrade, 1976. 10. Trifunović R, Semibratov V, Petrović S, Čekerevac Z, “ Introduction of dual-fuel type engine in SANOS 110 bus for the transportation of passengers in city traffic ”, Institut mašinskog fakulteta, Beograd, 1978. 11. Čekerevac Z, “Report about lab testings of V-46 engine”, Institute of Military Technologies KoV, Beograd, 1981. 12. Čekerevac Z, „An analises of a cooling system of V-46 engine and posibilities of its applying for cooling of the engine of higher output“, Institute of Military Technologies KoV, Beograd, 1981. 13. Čekerevac Z, „An analises of air cooler for cooling of air of 735 KW engine and its influences on systems for engine water and oil cooling as well as transmission oil cooling“, Institute of Military Technologies KoV, Beograd, 1981. 14. Čekerevac Z, „An analises of the cooling system of the engine with 735 KW output“, Institute of Military Technologies KoV, Beograd, 1981. 15. Čekerevac Z, „Possibilities for cooling of the engines of 735 KW of rated power“, Institut of Military Technologies KoV, Beograd, 1981. 18. Čekerevac Z, „Dynamic modeling of Friedman R14V regulator“, Institut of Military Technologies KoV, Beograd, 1983. 19. Čekerevac Z, „Programme and plan of tank M84 with the V-46-TK engine testing“, Belgrade, 1983. 26. Čekerevac Z, Nikolić V, Vušanović S.: Engine air cleaner of modified tank T55, 14. oktobar Kruševac and Precision d.o.o. Beograd, 1992-1993. 27. Čekerevac Z, Nikolić V, Vušanović S.: Engine air precleaner for IKARBUS IK110 buses, Precision d.o.o. Beograd, 1995. 28. Čekerevac Z, Nikolić V, Vušanović S.: Engine air precleaner for IKARBUS IK103P buses, Precision d.o.o. Beograd, 1996. 29. Čekerevac Z, Nikolić V, Vušanović S.: Engine air precleaner for IKARBUS IK301 buses, Precision d.o.o. Beograd, 1996. 1. Dvořák Z, Methodology for preparation of proposals for grant projects – Part 2, Krízový Manažment - 1/2007, FSI Žilina, , quoted paper: ČEKEREVAC, Z. 2006: Some important conclusions from TEMPUS IMG-SCG3018-2005 project, In: Zborník LOGVD 2006, ISBN 80-8070-606-9, s. 45-48. 2. http://en.wikipedia.org/wiki/User:Bbik/Smederevo, quoted paper: Čekerevac Z, „Flood disaster in Serbia in the spring 2006.“ Security Magazine. 4. Dvorak Z, Selection of transport routes of hazardous substances by road, Logistic Monitor www.logistickymonitor.sk, ISSN: 1336-5851, quoted paper: Dvorak, Z., Čekerevac, Z.: Information security aspects of the example of Slovakia and Serbia, In: Proceedings of 12 scientific expert conference with international participation Crisis situation solutions, Zilina, 2007. ISBN 978-80-8070-701-9. pp.123-128. 11. Dvorak Z, System of Risk Management Security and Protection Health in Frame Renewal Transport Infrastructure, Mechanics, Transport Communications, ISSN 1312-3823, issue 3, 2007, article № 0184, quoted: Čekerevac,Z. : Some important conclusions from tempus IMG-SCG3018-2005 project. Žilinská univerzita, 2006. - ISBN 80-8070-606-9. 12. Novák L, Seidl M, RISKS IN PASSENGER TRAFFIC, Proceedings from International Scientific Conference Management 2010, 17-18th March 2010, Kruševac, ISBN 978-86-84909-69-7, quoted: ČEKEREVAC, Z., DVORAK, Z., MILATA, I., Operational Planning of Railway Transport in Crisis Situations in Case of and Serbia, XIX International scientific conference „Transport 2009“, Publication Mechanics Transport Communications, No.3/2009, ISSN 1312-3823, published by VTU „Todor Kableshkov“, Sofia, november 2009. 13. Radović D, Milić Ž, Radović B, CRISIS ECONOMY OF SMALL BUSINESSES AND STRATEGY RECOVERY, Proceedings from International Scientific Conference Management 2010, 17-18th March 2010, Kruševac, ISBN 978-86-84909-69-7, quoted: Z. Cekerevac, S. Ristić, „ORGANIZATIONAL ASPECT AND TYPES OF BUSINESS COMMUNICATIONS“, in Proc. Sixteenth International Scientific Conference Transport 2006, November 11 - 12, 2006, Sofia, Bulgaria. 15. Dvorak Z., Leitner B., Milata I., Novak L., Sousek R., Theoretical Background and Software Support for Creation of Railway Transport Model in Crisis Situations, www.iiis.org/CDs2010/CD2010SCI/RMCI_2010/PapersPdf/RA100LP.pdf Cited: Davidovic, B., Cekerevac, Z.: Integration of the System for Providing Quality and Controlling Into Logistic Processes, In: Proceedings of 15th International Scientific Conference Transport 2005,Sofia, Bulgaria, 2005. 16. Dvorak Z., Leitner B., Milata I., Novak L., Sousek R., Theoretical Background and Software Support for Creation of Railway Transport Model in Crisis Situations, www.iiis.org/CDs2010/CD2010SCI/RMCI_2010/PapersPdf/RA100LP.pdf Cited: Dvorák, Z., Cekeravac, Z., Milata, I.: Operational planning of railway transport in crisis situations in case of Slovakia and Serbia, In: Mechanics Transport Communications, Academic journal, Sofia, Bulgaria. Issue 3, 2009, p. IV-26- IV-30, ISSN1312-3823. 17. Dvorak Z., Leitner B., THE IMPORTANCE OF INTEGRATION OF INFORMATION COMMUNICATION SYSTEMS IN TRANSPORT, Pernerscontacts, No4, Volume IV, December 2009, Paper cited: Dvořák, Z., Čekerevac, Z. Bezpečnostné aspekty informatizácie na príklade Slovenska a Srbska, In: Zborník z 12. vedecko-odborná konferencia s medzinárodnou účasťou riešenie krízových situácií, Žilina, 2007. ISBN 978-80-8070-701-9. 18. Dvorak Z., INFORMÁCIA A INFORMAČNÁ STRATÉGIA V DOPRAVNEJ FIRME, Perner's Contacts, No.6, 2007, pp. 1-6, dostupan online: http://pernerscontacts.upce.cz/06_2007/Dvorak.pdf Cited paper: Dvořák, Z., Čekerevac, Z.: Bezpečnostné aspekty informatizácie na príklade Slovenska a Srbska, In: Zborník z 12. vedecko-odborná konferencia s medzinárodnou účasťou riešenie krízových situácií, Žilina, 2007. ISBN 978-80-8070-701-9. pp.123-128. Cited: Čekerevac, Z., (2006). Flood Disaster in Serbia in the Spring 2006. Security Magazine. 21. Vatovec-Krmac, E.: Intelligent Value Chain Networks: Business Intelligence and Other ICT Tools and Technologies in Supply/Demand Chains, Supply Chain Management – New Perspectives, ISBN 978-953-307-633-1, InTech, Open Access publisher of Scientific Books and Journals, Avgust 2011. Citiran rad: Dvorak, Z.; Čekerevac, Z. & Zemiar, Z. (2009). Proper communication means as a tool of decreasing company management risks, Krizovy manažment, No.1, Year 8, pp.19-23, ISSN 1336-0019, Žilina, Slovaky. 24. Kalinic, Z., Arsovski, S., Stefanovic, M., Arsovski, Z., Rankovic, V.: The development of a mobile learning application as support for a blended eLearning environment, (2011) Technics Technologies Education Management Vol. 6 No. 4 – Work cited: Zoran Čekerevac, Svetlana Anđelić , Zdenek Dvorak, Dragan Radović, Dragana Sajfert ; The application of information and communication technology lessons in regards to multimedia presentations, Technics Technologies Education Management, Vol. 6, No. 2, 2011. 25. Deepti Mishra, Eda Balcioglu, Alok Mishra: Measuring Project and Quality aspects in Agile Software Development, Technics Technologies Education Management, Published by DRUNPP, Sarajevo, Volume 7 Number 1, 2012, ISSN 1840-1503, Impact Factor 0.256 (ISI Journal Citation Reports 2010) Work cited: Čekerevac, Z. Anđelić, S. Dvorak, Z. Radović, D., Sajfert, D. (2011) The application of information and communication technology lessons in regards to multimedia presentations, Technologies Education Management, Vol. 6, No. 2, 2011. 26. Rasool Nazari, Mohammad Ehsani, Faredeh Ashraf Gangoei and Hamid Ghasemi: The Effects of Communication Skills and Interpersonal Communication on Organizational Effectiveness of Iranian Sport Managers and Presenting a Model, published in the Middle-East Journal of Scientific Research 10 (6): 702-710, 2011, ISSN 1990-9233, © IDOSI Publications, 2011. Work cited: Cekerevac, Zoran, et al., 2011. The application of information and communication technology lessons in regards to multimedia presentations. Techniques Technologies Education Management J., 6(2): 256. 27. Eva Sventeková, Zdeněk Dvořák: INFORMATION PROVISION OF LOGISTICS SUPPORT IN CIVIL PROTECTION; Journal of Engineering Management and Competitiveness (JEMC), Available online at http://www.tfzr.uns.ac.rs/jemc; 2012 University of Novi Sad, Technical faculty “Mihajlo Pupin” in Zrenjanin, Republic of Serbia; Vol. 2, No. 1, 2012, 1-5; ISSN 2217-8147. Work cited: Čekerevac, Z. (2009). Internet technologies and Internetbusiness (in Serbian). Kruševac, RS: FIM, ICIM. 28. Novak, L: REALIZACIA SPECIFICKYCH OPATRENI HOSPODARSKEJ MOBILIZACIE V DOPRAVE – 1. CAST; Doprava a spoje - elektronicki casopis Fakulty prevadzky a ekonomiky dopravy a spojov Zilinskej univerzity v Ziline, ISSN 1336-7676; No. 1/2012 Work cited: Dvorak, Z, Čekerevac, Z, Milata, I.: Operational Planning of RailwayTransport in Crisis Situations in Case of and Serbia. XIX International scientific conference TRANSPORT 2009, Publication Mechanics Transport Communications, No.3/2009, ISSN 1312-3823, published by VTU ,,Todor Kableshkov", Sofia, November 2009. 29. Osmanbegović, E. (2011) Informaciona bezbjednost prema standardu ISO/IEC 27001 (Information security according to ISO / IEC 27001). Tranzicija - Transition, Vol.12 No.25-26 January 2011. Work cited: Petrović R. S., Čekerevac Z., Milanović Z., Međunarodna naučna konferencija Menadžment 2010, Politika informacione bezbednosti kao element prevencije kriznih situacija, Srbija, Kruševac, 2010. 31. Krstić, G. (2012) Savremeni trendovi primene informacionih tehnologija u oblasti poljoprivrede (Current trends of information technology application in agriculture). YuInfo, 18th conference and exhibition, Kopaonik, 29.02.-03.03.2012. Work cited: Čekerevac Z., Anđelić S., Glumac S., Dragović G., “Savremene tendencije primene GIS tehnologija”, International Scientific Conference Management 2010, Kruševac, 2010. 32. Živanović, N., Milićević, M., Živadinović, S., & Živanović, V. (2012) Modern marketing and primary factor of product development, Mechanics Transport Communications, Issue 1, Article No. 0653, Sofia. Work cited: Živanovic, N., Čekerevac, Z., Živanović, V., Effective functioning of management in crisis situations, Stati crisis management CM 1/2011, Issn 1336-0019, Žilinska univerzita v Žiline Fakulta špecialneho imžinierstva, Ministerstvo hospodarstva SR Odbor krizoveho manažmentu, 2011. 33. Živanović, N., Milićević, M., Živadinović, S., & Živanović, V. (2012) Modern marketing and primary factor of product development, Mechanics Transport Communications, Issue 1, Article No. 0653, Sofia. Work cited: Cekerevac, Z., Živanović, N., Glumac. S., Role of management in effective solving of crisis, zbornik z 16. medzinarodna vedesk konferencia, ’’Rešenie situacii v špecifickom prostredi, pp. 93-98, isbn 978-80-554-0365-6, fakulta špecialneho inžinierstva žu, Žilina, Slovak republic, 1-2. jun 2011. 34. Živanović, N., Milićević, M., Živadinović, S., & Živanović, V. (2012) Modern marketing and primary factor of product development, Mechanics Transport Communications, Issue 1, Article No. 0653, Sofia. Work cited: Živanovic. N., Živadinovic, S., Čekerevac, Z., Živanovic, V., Good strategy of modern management, pp.171-178, Issn 2219-5378 collection of scientific articles - economic scientes, issue 7, Bucovinian university, Chernivtsi, book – xxi, February 2011. 35. Aničić, J., Radović, D., Radović, B., & Anđelić, S. (2011). Postkrizni model ekonomskog rasta - šanse i ograničenja za razvoj sektora MSPP. Ekonomski vidici, 16(3), 463-479. Work cited: Radović, D., Aničić, J., Čekerevac, Z., Radović, B. (2010) Ekonomska i investiciona politika, razvoj MSP i preduzetništva pre i posle krize. Ekonomski vidici, vol. 15, No. 1, pp. 17-29. 36. Lecic, D. (2012) Distance Learning for GIS in Serbia. The 7th International Conference on Virtual Learning ICVL 2012. University 314 of Bucharest and "Transilvania" University of Brasov. pp. 311-315. Romania. Work cited: Cekerevac Z. : Trends in GIS technology application. In Proceedings of The International Conference Management 2010, Kruševac, 531-537. 37. Anucojić, D., & Milošević, T. (2011). Stanje i razvoj e-obrazovanja u Republici Srbiji. Aktuelnosti, 15, 27-42. doi:10.7251/AKT1115043N. Work cited: Čekerevac, Z. (2011). Elektronsko poslovanje. Čačak: Visoka poslovna škola strukovnih studija "Čačak". 38. Jovic, B., Teofilovic, N., Cucakovic, A., Nestorovic, M. (2013) Application of 3D animation principles and tools in geometrical education. TTEM. 8(3). 1047-1054. Work cited: Čekerevac Z, D. Anđelić S, Dvorak Z, Radović D, Sajfert D. (2011) The application of information and communication technology lessons in regards to multimedia presentations, TTEM Sarajevo, Published by DRUNPP, Sarajevo, ISSN 1840-1503, 2011; 6(2): 256-265. 1. Award „December 22nd for the technical improvement „Development of the engine of 882 kW (1200 KS) of rated power, Federal Secretariat for National Defence, Belgrade, 22.12.1991. 31. Member of the Scientific committee of the Economy. Management - Achievements, Development, Proposals, 05-06 May 2016, Warszawa, Poland, Sp. z o.o. "Diamond trading tour"
1. Descriptive Geometry, author Tomislav Nikolić, PhD, Railway College, Belgrade, 2003. 2. Technical mechanics, author Tomislav Nikolić, PhD, Railway College, Belgrade, 2003. 3. Computer applying in TC – ACADemy m-2000, author Milan Tasić, MSc, Railway College, Belgrade, 2003. 6. Fault identification, diagnosis and measuring techniques, author Rajko Mijanac, MSc, Railway College, Belgrade, 2004. 8. Static, author Tomislav Nikolić, PhD, Railway College, Belgrade, 2003. 11. Static, author Tomislav Nikolić, PhD, Railway College, Belgrade, August 2005. 15. Kaurin T, Anucojić D: Elektronsko poslovanje.- Novi Sad: Fakultet za pravne i poslovne studije „Dr Lazar Vrkatić“, 2012, (Novi Sad: Tempograf).-323 str.;ilustr. ; 24cm. ISBN 978-86-7910-048-1. 2. Member of the Draft committee of the Electronic technical journal: Perner’s Contacts, Jan Perner Transport Faculty, University of Pardubice, ISSN 1801-674X, from December 2009. 8. Reviewer of the article: Requirements to the Informational and Educational Environment for the Professional Development of the Future Teacher of Physical Education in the Information Society; Journal: the Education and Information Technologies; Manuscript Number: EAIT-D-12-00372; 2012. 1. Participation in the seminar: "Computer forensics as a platform of information security", organized by Guidance Software USA, IN2-INsig2 Belgrade-Zagreb, Belgrade, 08.03.2011. 5. Mentor of the work: Šalić, R. (2012.10.25) Implications of the Basel III agreement on liquidity of Bosnia and Herzegovina banks. Актуальные проблемы экономики и менеджмента (Actual Problems of Economics and Management). Maykop.